As Dominica works to becoming the first ‘climate-resilient’ nation of the climate era change, DigicelDominica says it is taking that journey hand in hand with them, by assisting with the humanitarian relief efforts and providing the technical and operational support necessary to achieve this goal. 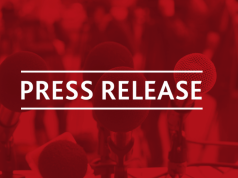 According to a Press Release from Digicel the company is also very much aligned with Dominica on its ‘climate-resilient nation’ goal, with its soon to be launched Home Entertainment Services – Fibre To The Home (FTTH), which will provide a more resilient, efficient and secure way of delivering high speed internet and crystal clear TV, directly to the home. The new fibre network offers faster internet speeds, up to 200Mbps, which in itself is a catalyst for greater social and economic empowerment. 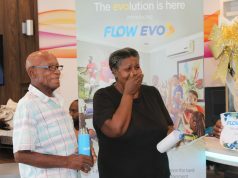 On the mobile front, the company says service has been returned to approximately 80 per cent of the population, and Digicel’s technical team continues to work tirelessly towards full connectivity. The areas already with service consist of some key constituencies such as: the capital Roseau; Melville Hall – home to the Douglas Charles airport; the major hub of Portsmouth; Grandbay Vielle Case and Belfast/Mahaut and most recently, Castle Bruce. However, while the road to recovery is being traversed at a steady pace, there have been challenges that will need the collective cooperation of all parties – governmental and private entities – to complete the task at hand. In the areas where service has not been returned, lack of adequate infrastructure is the primary reason for the delay, with Digicel awaiting the completion of towers which are owned by another service provider, before it can restore service to the last section of affected customers.